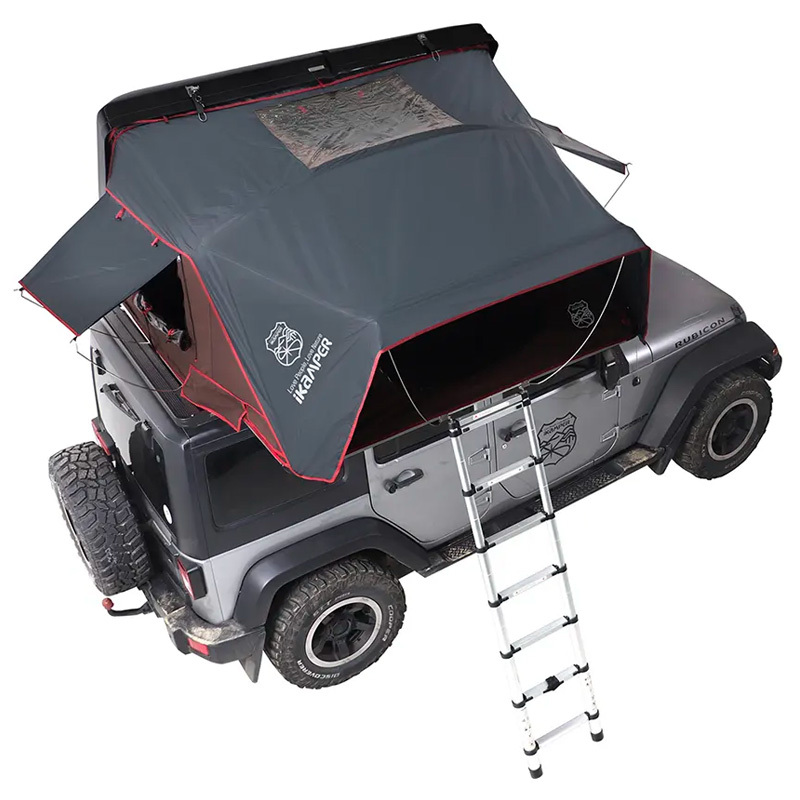 Enjoy the easiest and most comfortable camping experience imaginable with the Skycamp rooftop tent. Expandable: The Skycamp's king-size mattress sleeps 4 people. Customisable: Choose the colour of your hard shell and the accessories you want for the best camping experience. Detachable: Switch to the Airflow Summer Tent (sold separately) in hot weather, and back to the canvas material for cooler times. 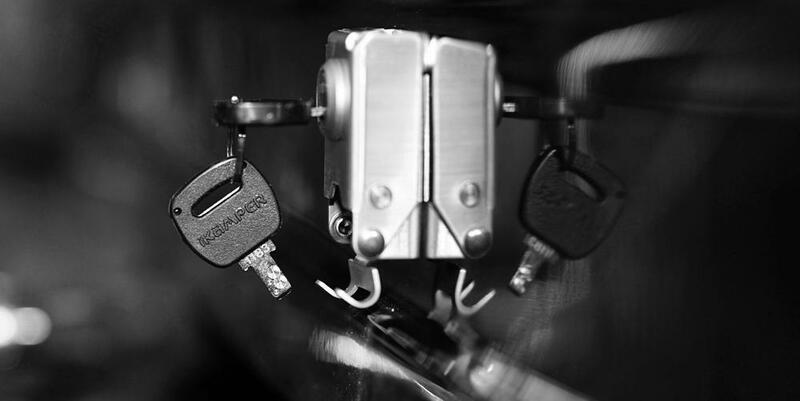 Hard Shell Locks: Closing straps have locks to give you peace of mind. Quality: The Skycamp 4X is made with love at the iKamper factory in South Korea with quality components and custom molds. Park your car and set up your Skycamp in just 60 seconds. Really, it's that fast. The Skycamp's floor folds out into a comfy king-size mattress. A family of two adults and two children can sleep comfortably, or up to 3 adults. 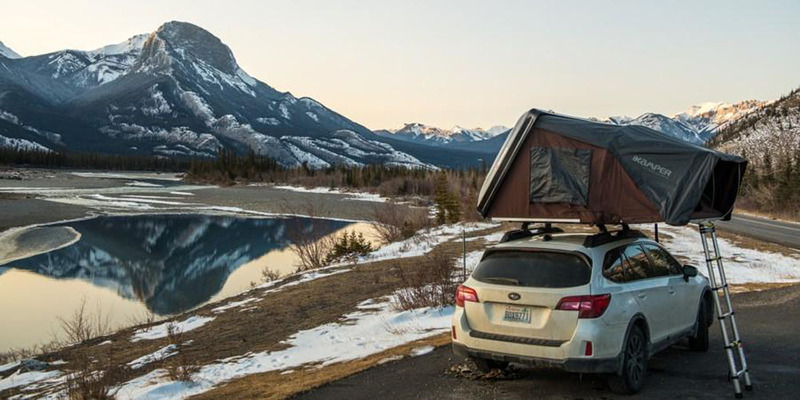 You won't find another hard shell rooftop tent this spacious. "We have a 4yo and a 2yo, if anything we kind of end up all over the place in the night as we're used to a queen sized bed and there's just so much space!" 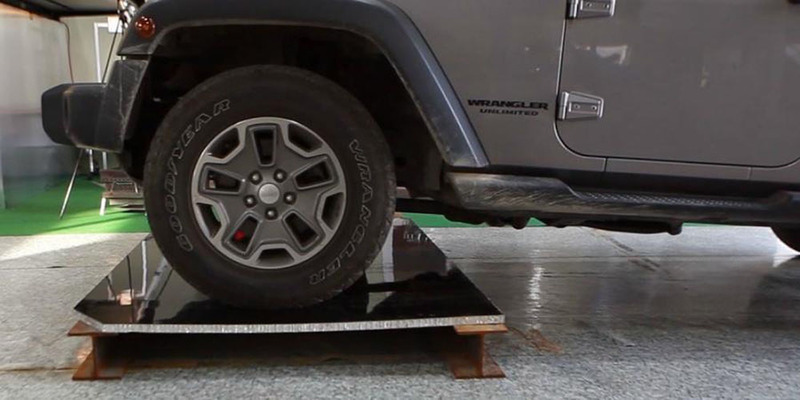 - Tamara S.
Thanks to our universal mounting system, the Skycamp fits on most vehicles. At 72kg, the Skycamp is extremely lightweight given its size. This allows it to fit on most cross bars on the market. To check that your vehicle is Skycamp-friendly please check our mounting page or contact us below. Skycamp's signature Skyview window gives you extra light by day and a view of the stars by night. The rain fly can be rolled up when not in use, allowing for extra ventilation. 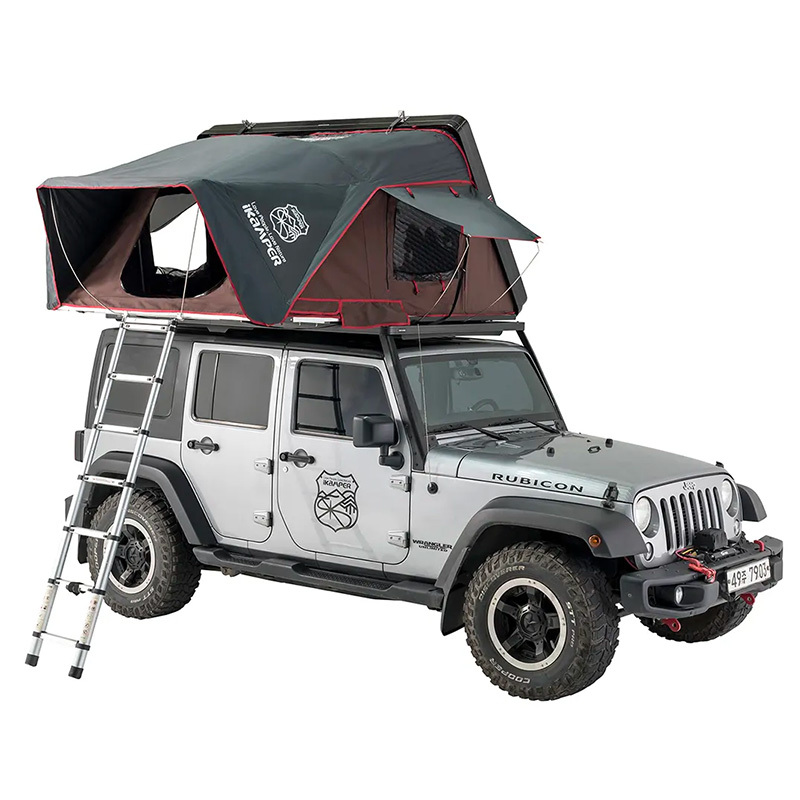 The hard shell of the Skycamp is made of FRP (fibre-reinforced plastic) and has TWO layers for extra insulation and strength, setting it apart from traditional roof top tents' shells. 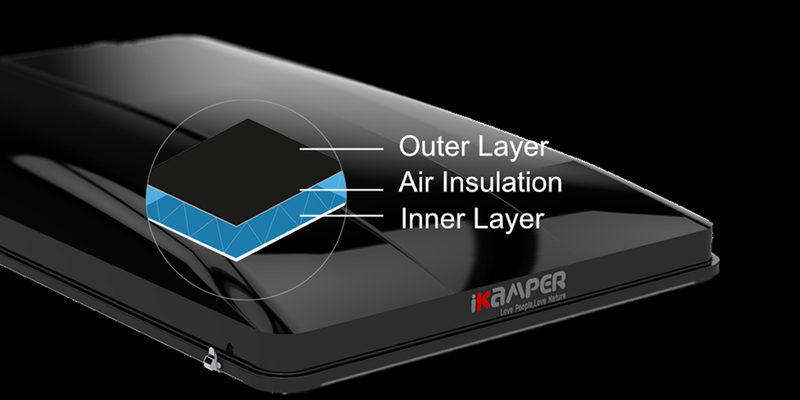 The hard shell that protects your Skycamp on the road is made of fiber-reinforced plastic and has a double layer with built-in air insulation, making it soundproof and condensation resistant. 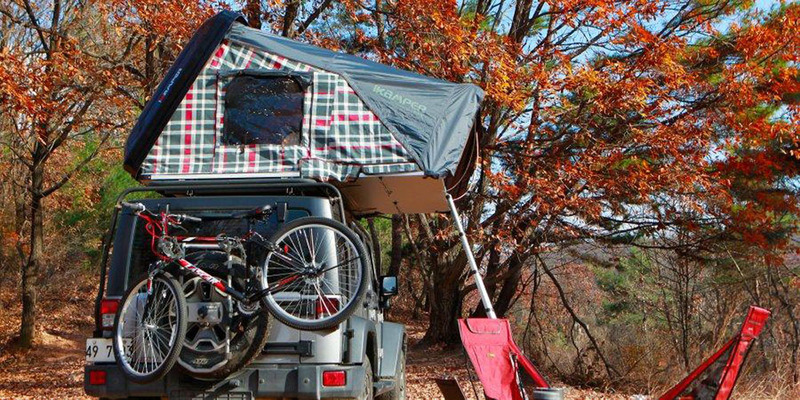 Most rooftop tents have a single-layer shell. 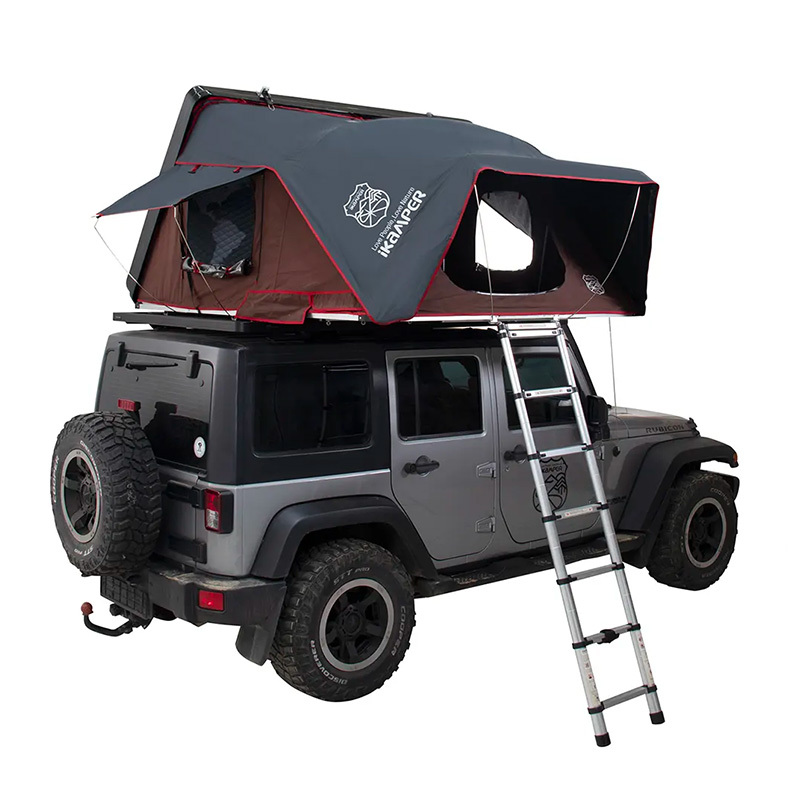 The Skycamp's floor is made of high-performance honeycomb aluminum panels that are lightweight and strong enough to hold a 1.8-ton Jeep Wrangler! 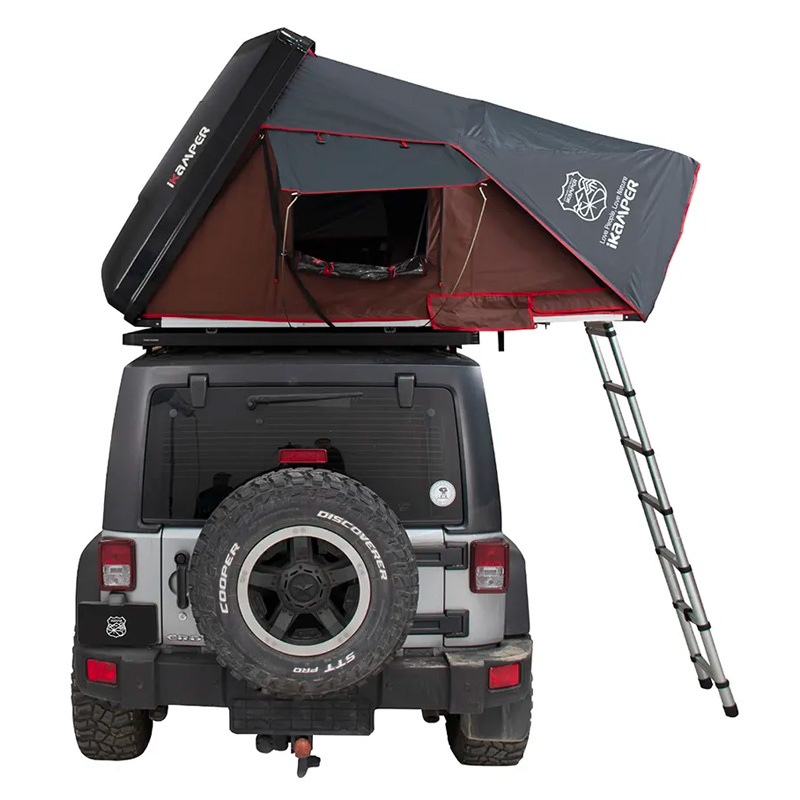 The flat, insulated aluminum panels will give you a much more comfortable night's rest than the rocky, cold ground. The Skycamp tent is made of breathable, water-resistant poly-cotton canvas. To really keep you dry, it also comes with waterproof zippers and a rain fly for extra protection. The problem with most tents is that the thin polyester has a vinyl coating, making it less breathable and increasing condensation. 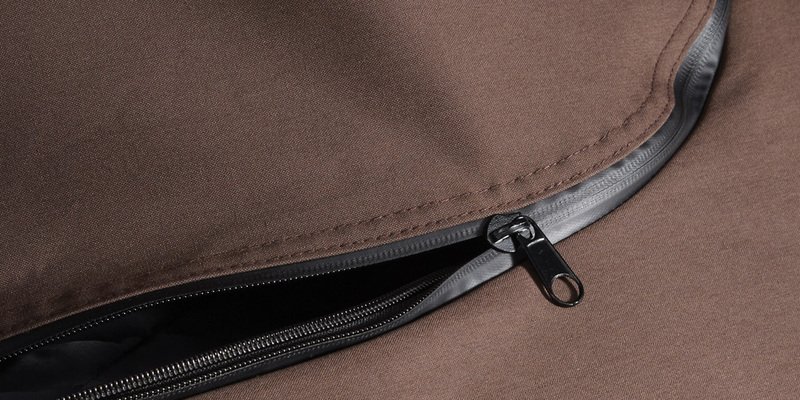 The Skycamp's thicker, heavier canvas will keep you dry, and it's also quieter in the wind. The tent "skin" is just one part of the Skycamp. It's completely detachable, allowing you to switch it out with our lighter mesh tent in summer or replace the tent after a few years without having to buy a whole new Skycamp. You can also upgrade to one of our limited-edition designs. Details DO matter. We care about the small things too. - THREE layered window to adapt to all conditions? Check. - Custom-made stainless-steel locks? Check. - Hooks inside your Skycamp to hold the Movie Stand or your flashlight? Check. The Skycamp has been put to the test!